Objective: To evaluate the periodontal status and periodontal treatment need (TN) of patients with chronic kidney disease (CKD). Methodology: All the patients with CKD who presented at the renal out-patient clinic of the University of Lagos University Teaching Hospital were recruited into the study. Data were collected using self-administered questionnaire with open and closed questions comprising demographic details such as age and gender, year of diagnosis, and stage of kidney disease and dialysis. Simplified oral hygiene index (OHI-S) of Green and Vermilion and Community Periodontal Index of TN were used to assess the patients' periodontal status. Results: Participants' age ranged between 21 years and 73 years with a mean age of 45.14 ΁ 14.14. Of the 65 participants, males were 64.6% and females were 35.5%. More than half of the participants were diagnosed within the last 5 years (54.6%). The cause of renal disease in 41 of them (63.1%) was hypertension. Other causes such as chronic glomerular nephritis (4.6%), diabetes mellitus (4.6%), and hypertensive heart disease (3.1%) were also mentioned. Nearly, 6.2% had no known cause. About a fifth of the participants (16.9%) had other systemic conditions such as diabetes. Their mean OHI-S was 1.96 ΁ 0.90. About two-thirds of the participants had CPI score of 2, and the major treatment needed was code 2 consisting of scaling, polishing, and root planing. Conclusion: Majority of the CKD patients reviewed had poor periodontal status with code 2 TN. 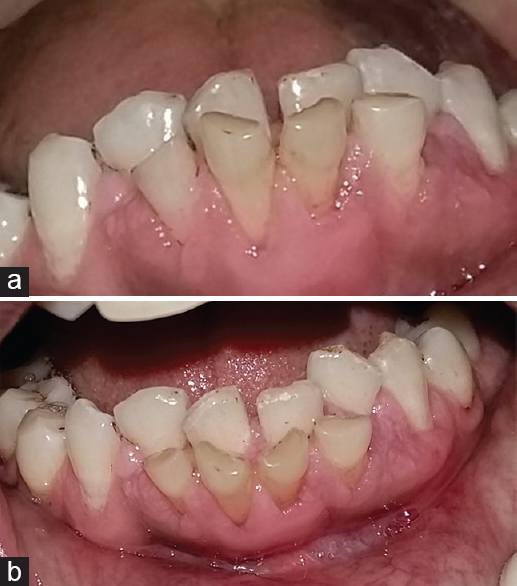 We, therefore, recommend nonsurgical periodontal treatment for all CKD patients to improve their oral health and forestall the systemic effects of periodontal pathology. Purpose: This in vitro study was done to evaluate the effect of a 10% carbamide peroxide bleaching agent on the micro hardness of three types of direct resin-based restorative materials. Materials and Methods: Fifteen disk-shaped specimens (5.0 mm diameter and 2.0 mm depth) of each material, including a micro hybrid resin composite (Z250), a nanofilled resin composite (Z350), a hybrid resin composite (Z100), were fabricated and then polished with medium, fine, and superfine polishing discs. After being polished, specimens were cleaned with distilled water for 2 min in an ultrasonic bath to remove any surface debris and then stored in distilled water at 37ΊC for 24 hours. Specimens from each material were divided into three groups (n=5). One group was selected as a control group (non treated with bleaching agent). The other two groups were treated with bleaching agent for 14 days (group A) and followed by immersion in artificial saliva for 14 days (group B). The top surfaces of the specimens in the different groups were also subjected to the Vickers hardness test with a load of 300 g and 15-second dwell time. Data were analyzed witha one-way analysis of variance and Turkey's HSD test (α = 0.05). 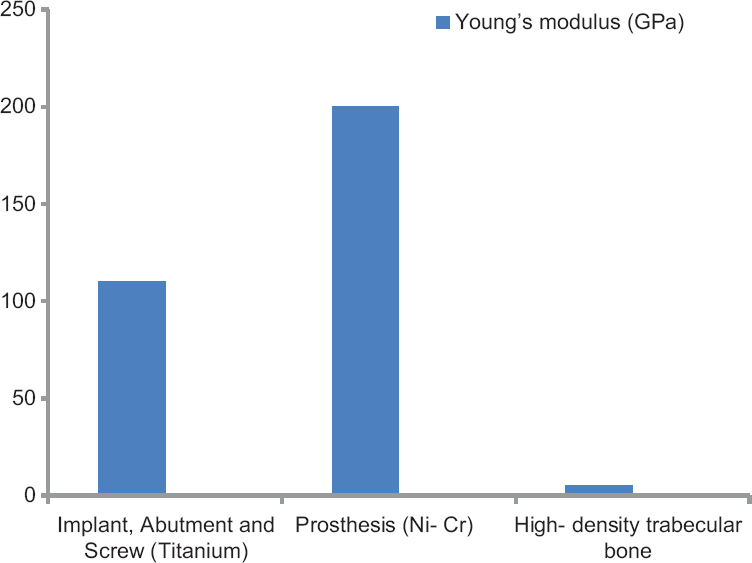 Results: There was a general reduction of Vickers hardness numbers (VHN) values of treated groups compared with the control group for each material used, but this reduction was minimal, with no significant difference between groups in Z250, whereas the other two materials (Z350, Z100) showed a significant reduction of VHN of treated groups compared with the control group. Conversely, the findings showed no significant difference between treated groups A and B in all materials used. Conclusion: A 10% carbamide peroxide bleaching agent had an adverse effect on the micro hardness of nanofilled and hybrid types of resin-based composite materials compared with the micro hybrid type. Objective: The objective of the study was to assess and compare the oral health knowledge, attitude, and behavior of medical, pharmacy, and nursing students at the University of Port Harcourt, Nigeria. Subjects and Methods: A total of 189 students including 94 males and 95 females involved in the cross-sectional surveyed. Data were collected using pretested, self-administered, structured questionnaire. The mean percentage scores, standard deviation, and frequency distribution were calculated. The Student's t-test and ANOVA test were used to test the association between variables. The linear regression analysis was used to establish any association of behavior with knowledge and attitude. Results: The total mean percentage scores for knowledge, attitude, and behavior were more than 50% among the students. The mean percentage scores for knowledge, attitude, and behavior were significantly higher for the medical students compared to pharmacy and nursing students. All the scores were significantly higher in females than in males except for the mean score of knowledge. There was no significant association between knowledge, attitude, and behavior with age. Linear regression analysis showed a significant linear relationship between behavior and attitude, but there was no significant linear relation between behavior and knowledge. Conclusion: The present study indicates that although the mean scores for knowledge, attitude, and behavior were more than 50% among the participants, the students' oral health knowledge, attitude, and behavior was inadequate and needs to be improved upon. The study also revealed that attitude is a determinant of oral health behavior among the students. Aim: This study aims to examine the Nigerian dental students' permissive tendency to the proposed organized incorporation of stem cells application into undergraduate and postgraduate dental curriculum. 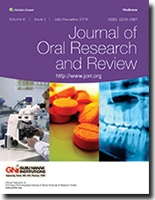 Materials and Methods: This cross-sectional study of Nigerian final year dental students was conducted between April and June 2014 using the modified Sede et al. questionnaire on stem cell use in dentistry knowledge and attitude questionnaire as the data collection tool. Results: Of the 110 participants, 63.6% reported awareness of stem cell use in dentistry with their leading information sources as school lecture and internet. Subjective and objective stem cell knowledge assessment revealed inadequate knowledge among the majority of the participants. Subjective knowledge emerged as the significant determinant of objective stem cell knowledge. About a third (32.7%) of the participants reported a positive attitude toward stem cell application and objective stem cell knowledge was the only significant determinant of attitude. The majority (82.7%) of the participants reported a positive permissive tendency to the proposed organized incorporation of stem cells application into undergraduate, and postgraduate dental curriculum and attitude toward stem cell emerged as the only significant determinant. Conclusion: High positive permissive tendency to the proposed organized incorporation of stem cell application into undergraduate and postgraduate dental curriculum was noted among the participants. Increasing stem cell knowledge will improve attitude toward stem cell use which will ultimately increase positive permissive tendency. 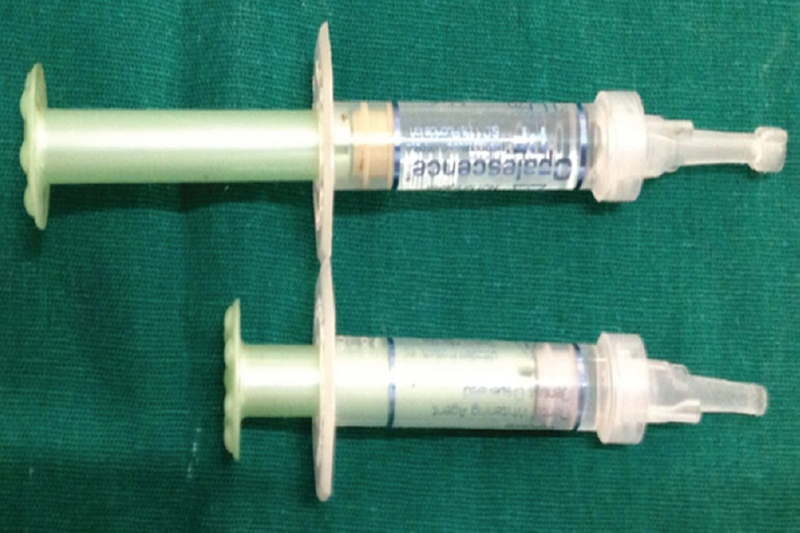 The literature provides several techniques for fabricating ocular prostheses, ranging from stock to custom-made prostheses. 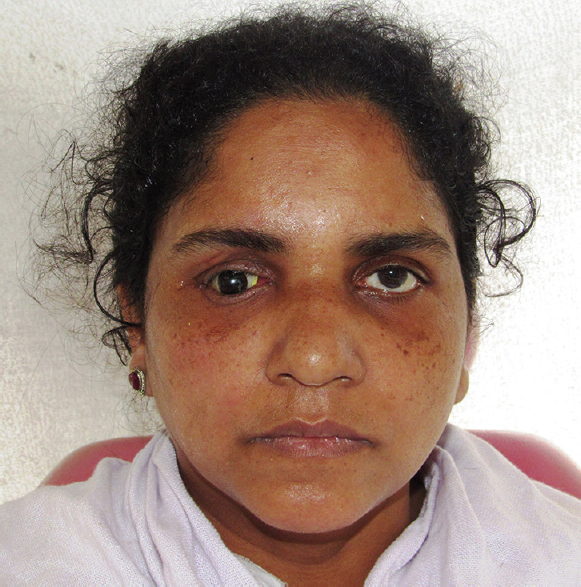 A cosmetically acceptable ocular prosthesis is that which reproduces the colour, form and orientation of the iris and allows the patient to return to a ifestyle to which they were previously accustomed. A sequence of steps for construction of custom-made ocular prostheses is outlined in this case report with emphasis on accurate positioning of iris using a transparent graph template. Ocular rehabilitation restores the compromised aesthetics, maintains the normal physiology of the ocular area, and increases the social life and self-esteem of the patient. Dental caries still remains the second most prevalent disease after common cold, out of which occlusal caries is the most profound one. In India, more than 40% of children are found to be affected by dental caries. Occlusal surfaces of the teeth are most susceptible sites for caries development due to their morphology. They are least benefited from fluoride application. Various efforts have been made by the preventive means to decline the rate of caries, one of which being sealant application. Sealants have come into existence long back since 1971 when first pit and fissure sealant Nuva-Caulk came into existence. There have been piles of literature stating the benefits that arrive from sealing the teeth. However, one crucial point that is being missed most of the times is the cost-effectiveness of the sealant. There are various schools of thoughts, regarding this that is controversial ones. Some of the analysts believe that always sealing may be a bit costlier, but it reduces subsequent dental treatments and hence saves money as well as time. However, some believe that why to unnecessarily seal the teeth in all cases even when the child is not at a risk to develop caries. Hence, we need to foresee both the sides of equation. For best clinical practice and decision-making, we need to have a balance of best evidence, clinical judgment, and the most important, patient needs and preferences. Medicinal plants and herbs have attracted a lot of attention since the past few years. The market for drugs extracted from these plants and made from herbal extracts has seen a significant rise. India is known for its rich stock of medicinal plants. Among many, some herbs are rich in phytochemical content. These phytochemicals are useful in generating phytomedicines which have effects on the human body. In the field of endodontics, phytomedicines are a boon. They have been popularly used as analgesic, anti-inflammatory, sedatives, and antibiotics. They are most significantly used as endodontic irrigants. Phytotherapy has been a grand entrant in the drug market. The reason why herbal extracts have the potential to be highly popular is due to the side effects of synthetic medicines which alter microbiota.